Always refreshing and easy to make. 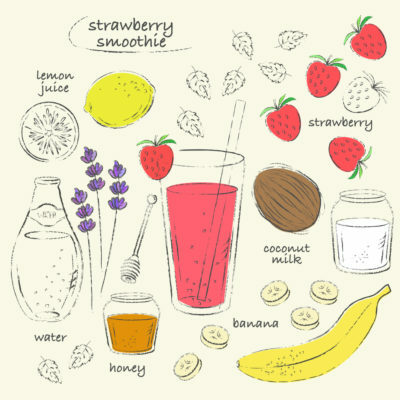 This healthy smoothie combines raw honey, lemon juice, bananas, strawberries, coconut milk, and water. Personalize the proportions to your taste. The picture says it all.